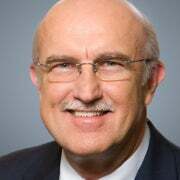 Ambassador Terry Miller is the Director of the Center for International Trade and Economics (CITE) at The Heritage Foundation. 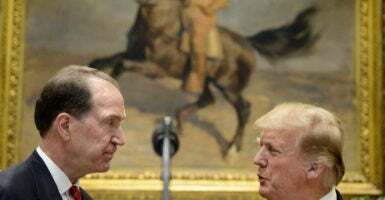 David Malpass, President Donald Trump’s nominee to be the next president of the World Bank, made a reassuring case for himself in a recent commentary in Financial Times. This begins with a commitment to prioritize activities that will lead to broad-based growth in each borrower and to a stronger, more stable global economy. … [T]he bank should also facilitate the adoption of best practices for encouraging broadly shared growth and prosperity. Undisputedly, development assistance through the World Bank has been an important part of America’s economic engagement with the world. Exercising strong leadership in improving the effectiveness of multilateral development assistance and holding the bank accountable for its development practices long has been in the U.S. interest. Malpass, an economist, currently is the Treasury Department’s undersecretary for international affairs. 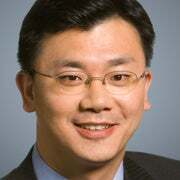 He has been chief economist for the investment banking company Bear Stearns, a deputy assistant secretary of state for President George W. Bush, and an assistant treasury secretary for President Ronald Reagan. In transforming the World Bank into a more effective and performance-based institution, Malpass will be well positioned to encourage policies and projects that advance economic freedom. That undertaking is essential because it is not only at the core of the World Bank’s mission, but also at the heart of America’s engagement with the bank. It is clearly in America’s interest to take a leading role to enhance the bank’s effectiveness in promoting economic freedom around the world. Indeed, at the core of encouraging economic development and reducing poverty is the mission of advancing economic freedom so that dynamic and inclusive growth can occur meaningfully for a greater number of ordinary people. Economic freedom, cultivated by the rule of law, limited government, regulatory efficiency, and market openness, is critical to generating the widespread economic dynamism that brings more opportunities for people to work, produce, and save. This multidimensional relationship between economic freedom and development has been well documented in The Heritage Foundation’s Index of Economic Freedom. Not only are high levels of economic freedom clearly correlated with greater levels of prosperity, but economic freedom also facilitates progress in overall human development. As the index has shown unambiguously over the past 25 years, adopting polices that advance economic freedom is the key to unlocking broad-based growth reinforced by a virtuous circle of opportunity, empowerment, and development. Ensuring and spreading economic freedom has proven to be the best way to alleviate poverty, lift the standard of living, and empower women as well as men to participate fully in their countries’ economies. Fortunately, Malpass knows the power of economic freedom and seems determined to focus the World Bank on what works in delivering measurable, tangible outcomes. As a free-market economist, David Malpass is a welcome candidate for the World Bank presidency, which under his leadership could strengthen its role as a force for encouraging growth and long-term economic development based on advancing economic freedom for all.